Ability Equine Assisted Therapy has a team of passionate volunteers who are responsible for the day to day running of the charity. The charity was founded in 2014 by Emma Donoghue. Emma was working in the equine industry when her eldest daughter, Olivia, was born with severe physical and cognitive disabilities. 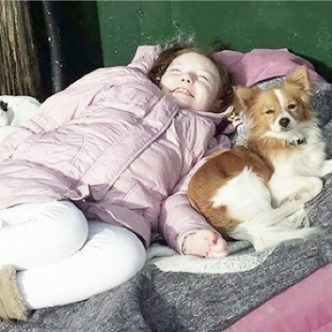 Olivia was often exposed to Emma’s working environment and although she had very limited communication and mobility it was obvious that she loved being outdoors and spending time with the horses. Emma noticed how the horses behaviour changed when Olivia was around. The horses were calmer and would often rest their heads on Olivia’s lap so that she could stroke them. With Emma’s help, Olivia was able to lie down on the horses and enjoy a new freedom of movement. 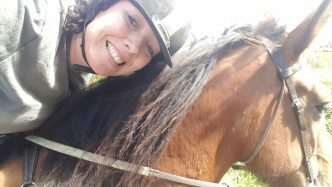 The special connection that Emma identified between Olivia and the horses inspired her to train as a therapeutic riding coach. By furthering her knowledge and skills, she was empowered to provide Olivia with an activity that eased many of her symptoms in a fun and relaxing way. Sadly Olivia passed away in 2014 at the age of 11. Despite Olivia’s passing, Emma was determined to share with others what she had learned from her daughter and so Ability Equine Assisted Therapy was founded in Olivia’s memory.